The name Joe Juarez — aka Joe Velvet — is mapped to an era. The centre-hub of Ottawa clubland in the mid-‘90s was Atomic (where Ritual stands now), and Juarez, along with DJs Martin Villeneuve and Max Graham, crafted the soundtrack to late nights for hundreds of regulars. 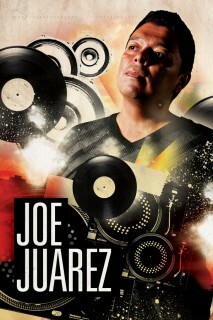 House music was hot and Juarez brought those big-city sounds to the capital. He became known for getting people onto the dance floor for hours and for having the velvet touch, hence the nickname. Their regular night, called Escape, lasted for three years. During that time, Juarez, like most musicians, had his hands in multiple professions. He was on the garde-manger line at the old Mill, being mentored by senior chefs. “I learned to cook the French way,” Juarez says. As the kitchen life kicked up, the club life wound down. Being up ‘til 7 a.m. four nights a week was getting hard on the system — plus, Juarez was finding success not just with back beats, but with back burners. His former Hull-sector restaurant, Auténtika Bistro, was given an eight out of 10 rating by Le Droit’s Pierre Jury, and being praised for a menu that was fresh, seasonal, and clever. Construction on rue Montcalm led to a decline in business. Juarez closed the restaurant and found a new home at Canvas on Holland Avenue as its co-executive chef. Both DJing and cooking share a similar physicality: there is what’s known as the triangle in the kitchen, i.e. a work zone between cooking, prep, and plating areas. A similar set-up works for the DJ booth as well. Juarez steps away from the kitchen for a Boxing Day bash with his former co-DJ Martin Villeneuve, who continues to produce tracks regularly (find them at Beatport) while pursuing a law degree. The show, which will be the first time Juarez and Villeneuve have played together in a decade, is a kind of reunion for Atomic regulars looking to remember their salad days. BONUS: The rich visual links between chopping beats and making eats proved irresistible and so Sound Seekers author and Ottawa Magazine contributing editor Fateema Sayani teamed up with Partus Films’ Craig Allen Conoley to present this video feature on Joe Juarez and his platters. Joe Juarez, Martin Villeneuve, Ryan Labelle. Monday, Dec. 26. 10 p.m. $7. Buddha Bar, 104 Clarence St.
Rap and rock merge in Zoo Legacy —but not in that Limp Bizkit way. Nooooo. The Ottawa trio avoids the gutters of either genre, deftly mashing indie style tunes and linguistic prowess. They open for USS and Fire & Neon at Ritual Nightclub (137 Besserer St.) on Boxing Day. 8 p.m., $22 adv. Members of the Ottawa rock scene cover the best of the Rolling Stones as The Ya-Yas at the Elmdale Tavern (1084 Wellington St., W.). $20 adv. Alt-folk Ottawa act Dry River Caravan fills the room with big ballads. The band is at Irene’s Pub (885 Bank St.) to ring in 2012. $20 adv.